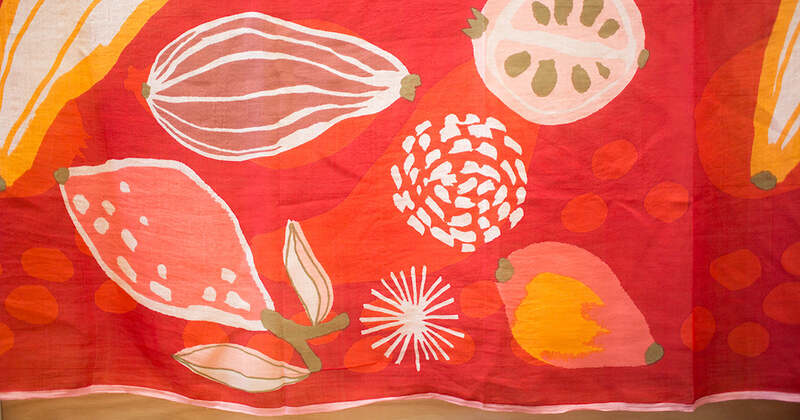 Florals, Fruits, and Geometric Goodness: New Spring Epice Scarves! Scarves are magical, aren't they? With one tie around the neck, you can transform an entire outfit from average, to "just right". 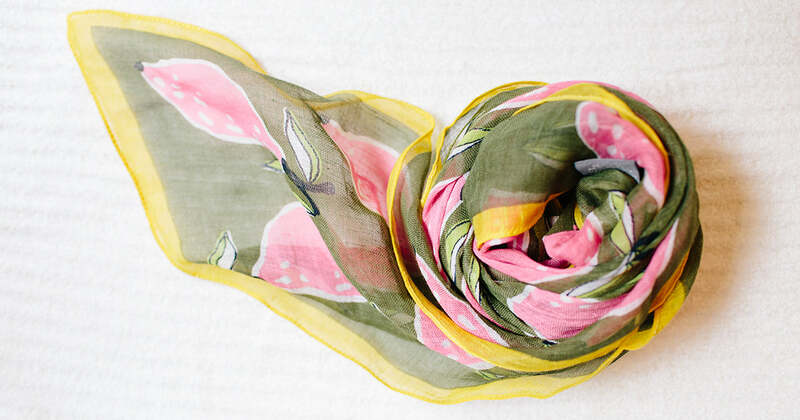 We love scarves year-round, but there's something about a bright scarf on a spring day that feels right. Take a look at our newest Epice scarves to see a handful of the styles we picked out for you this season! 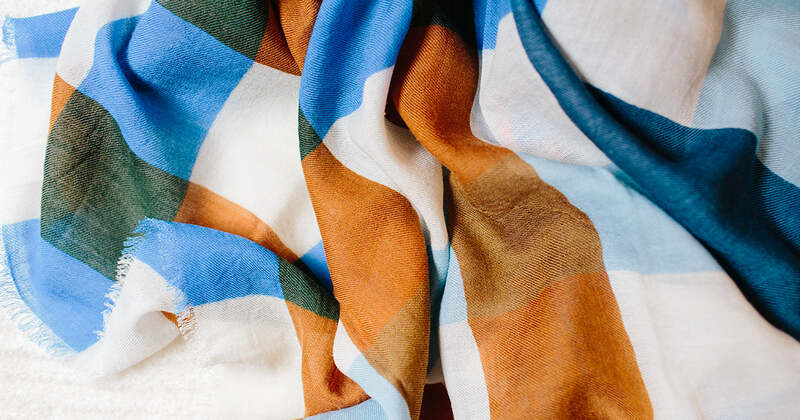 The patterns and colorways are endless in our spring Epice scarves. From playful pears, to romantic florals, incomparable plaids, and geometric goodness, each pattern is as gorgeous as the next. Some scarves, like the Bold Floral Scarf, are full and luxurious- long enough to wrap multiple times, or drape over your shoulder. Other scarves, like these sweet Dot Grid Scarves, are smaller and perfect for tying bandana style, or even around your wrist. 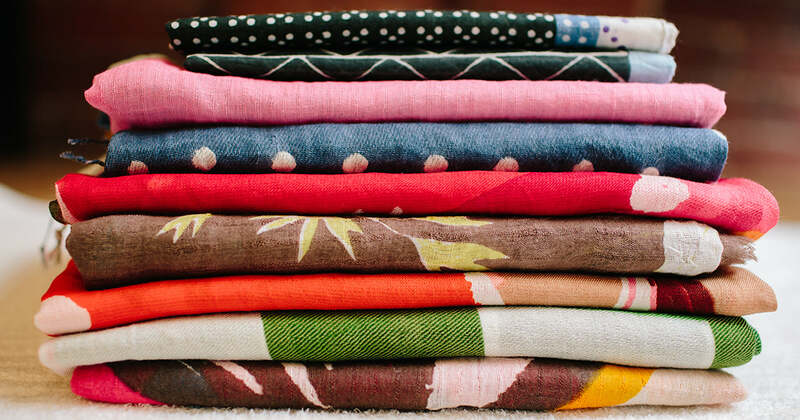 The vibrancy and beauty of these scarves is far from the only thing they've got going for them. Each scarf is made from premium fabrics: silk, cashmere, crisp cotton, and linen. They're made the same way scarves were decades ago- hand crafted on looms. 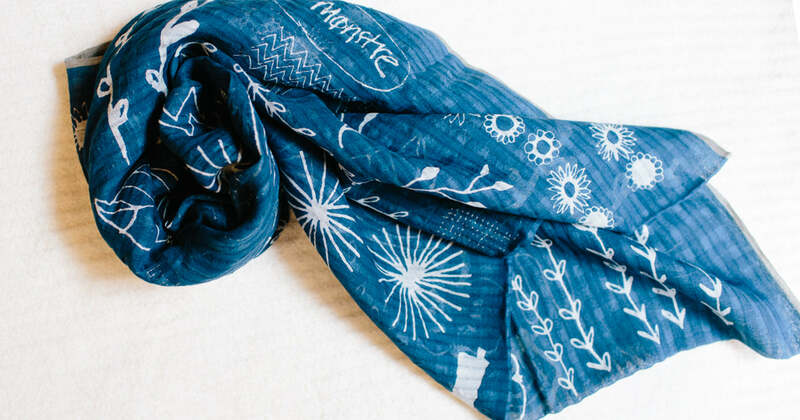 These scarves truly are a work of art! Stop by or visit our website to see the full spring collection.